Want to see something almost unbearably sad? Watch this interview with Ronda Rousey, the former UFC women’s champion who just debuted in the WWE at the Royal Rumble last weekend, about her devastating MMA losses to Holly Holm and Amanda Nunes and her ensuing fall from grace. That’s hard to watch, right? Even Rousey couldn’t seem to face her answer to the question. At this point, it’s clear that the downturn in Rousey’s fighting career is due to more than a sudden loss of skill — it’s psychological. It seems as though she’s suffering from a severe case of the “yips,” arguably the most devastating disease in all of professional sports. The yips originated in golf to describe when a golfer abruptly and inexplicably loses the ability to sink a putt, but the term has since expanded to explain sudden drops in performance in all sports, such as a baseball infielder no longer being able to make the routine throw to first base (looking at you Chuck Knoblauch and Steve Sax). The yips can last for a game, a stretch of a season, or in the most extreme cases, such as Rousey’s, derail an entire career. 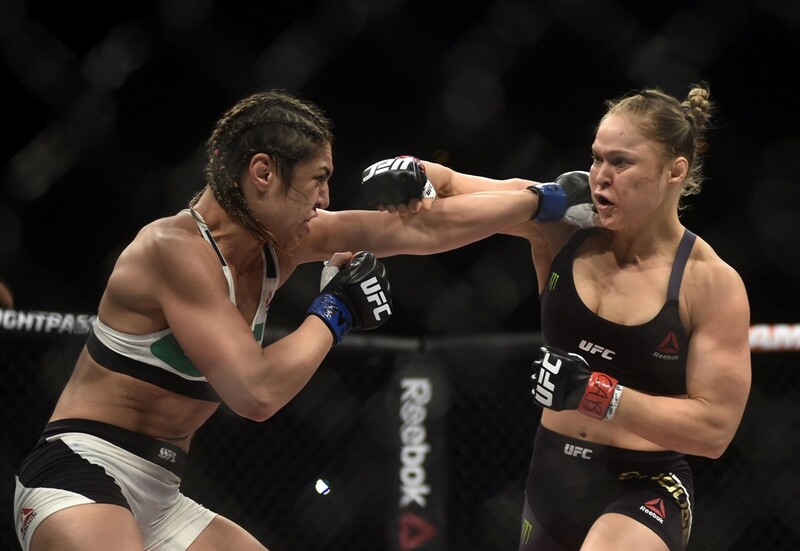 On November 15, 2015, Rousey suffered the first loss of her professional fighting career to Holm. Rousey wasn’t only undefeated until that fight, she was widely considered unbeatable and the most intimidating presence in the sport. The lone blemish on her record left her obviously rattled — after being ubiquitous in the media in previous months (including playing Turtle’s love interest in the Entourage film), Rousey vanished from the public eye. She, however, resurfaced the following year, only to lose again to Nunes in December 2016. Rousey is similar to Philadelphia 76ers guard Markelle Fultz, the highly-touted rookie who, for reasons that no one can adequately explain, has somehow lost the ability to properly shoot a basketball. For the past several months, Basketball Twitter has been flooded with videos of Fultz awkwardly shot-putting the ball toward the hoop and corresponding speculation about what happened to the silky stroke he exhibited at the University of Washington. In Fultz’s defense, he has been battling a shoulder injury, but team doctors have cleared him to play, meaning he’s ostensibly healthy enough to perform the vital basketball task of shooting. As such, one of the prevailing theories is that the hitch in Fultz’s shot is “psychosomatic” (read: a bout of the yips). Similar suspicions were cast at stud Indianapolis Colts quarterback Andrew Luck when he missed every game this season with a mysterious shoulder injury — by the team’s owner no less, who reportedly said the only thing wrong with Luck is his mindset. Some athletes become so anxious and self-focused — overthinking to the point of distraction — that their ability to execute a skill, like putting, is impaired. Choking is an extreme form of performance anxiety that may compromise a golfer’s game. Despite the emphasis on psychology, the Mayo Clinic also says the yips can be due to a neurological dysfunction called focal dystonia, which causes random spasms in the muscles, thus throwing off an athlete’s technique. Either way, sports psychologists have yet to identify a plausible working theory of the yips — as all the research conducted on the subject so far has been inconsistent. They can, however, be overcome. Perhaps the most famous case of recovery is former St. Louis Cardinals pitcher Rick Ankiel, who won Rookie of the Year his first season in MLB in 2000, and then suddenly forgot how to throw the ball to the catcher. It got so bad, he briefly washed out of the major leagues. Until, that is, he made a triumphant return to the Cardinals as a power-hitting outfielder. At first, I was in denial. And I just thought, Hey, I can beat this with mechanics because I know what I want to do. I know what my mechanics look like, what they feel like, what I’m supposed to do. And that’s the crazy part about it. You’re standing out there on the mound. You know exactly what you want to do and how you want to do it and your body and brain will not let you do it. Perhaps Rousey will have the same sort of redemption story in the WWE, where she will most certainly be pushed as the star of the company’s resurgent women’s division. But when it comes to the yips, nothing goes according to script — even those created at the behest of the McMahon family.